Nova Scotia, Ontario, Quebec, and Saskatchewan. Click the link above to find the nearest location. Locations in New Brunswick, Nova Scotia, Newfoundland. Saskatchewan, Manitoba, Ontario and Quebec. Panther East of VA, Inc. There are 6 Locations in Florida. There are 4 Locations in Georgia. Click the link above to find more information. 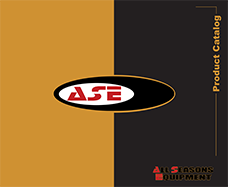 Stocks the ASE Hydraulic Swing Hoist, Electric and Gasoline models. Roofing Tools & Equipment Co., Inc.